Cardamom grows wild and is cultivated in India and Ceylon. Cardamom was well known in ancient times and the Egyptians used it in perfumes and incense and chewed it to whiten their teeth, while the Romans used it for their stomachs when they over-indulged. The Arabs ground it to use their coffee and it is an important ingredient in Asian cooking. Valerius first distilled the essential oil in 1544 after the Portuguese discovered the East. Cardamom is one of the most significant, valuable spices in the world. It consists of the small, highly aromatic pods or seed capsules of a perennial plant of the ginger family (Zingiberaceae). It grows up to 4 meters (13 feet) high and has long, green silky blades, small yellowy flowers with a violet tip and a large fleshy rhizome, similar to ginger. Oblong gray fruits follow the flowers, each containing many seeds. Cardamom is a perennial reedlike herb native to Asia and southern India that grows up to 13 feet tall. A relative of ginger, the fruits contain small reddish-brown seeds from which the essential oils is extracted. Long used in Asia as a culinary herb and oftern used in Eastern aphrodisiacs, although it is not certain whether it has any physiological effect in this area. Chemical constituents: Cardamom oil has various chemical compounds that include pinene, pinene, sabinene, myrcene, phellandrene, limonene, cineole,terpinene, cymene, terpinolene, linalool, linalyl acetate, terpinen-4-oil, terpineol, terpineol acetate, citronellol, nerol, geraniol, methyl eugenol and trans-nerolidol. Extraction: It is extracted by steam distillation of dried seeds. The essential oil of cardamom is used for its uplifting and invigorating properties and helps digestion and nausea. It is used as an aphrodisiac, helpful in countering the irritation experienced during premenstrual tension (PMS) and works well on the respiratory system, to ease coughs and warming the body. It is antiseptic, carminative, digestive, diuretic, stimulant, stomachic, tonic and anti-spasmodic. Cardamom is used internally for indigestion, nausea, vomiting and pulmonary disease with copious phlegm. It can be used with a laxative to prevent stomach pain, griping, as well as flatulence. The seeds are also chewed to sweeten the breath and taken to detoxify caffeine in people taking excessive amounts of coffee. The seeds are extensively used in foods in Northern Europe and the Middle East. It is used to flavor coffee, baked goods, curries and pickles, milk desserts and mulled wine. In flavouring they are combined with oils of Orange, Cinnamon, Cloves, and Caraway. They are used in coffees, meats, fish dishes, cookies and many other cuisines. They offer strong seasoning action. 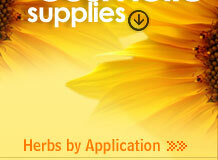 They are a powerful stimulant, carminative and diuretic. They check nausea and vomiting. They are also used as mouth freshners and support digestion. They are truly unique in aroma, flavor, size and color tempting parrot green. Because of their unique properties they are also used for perfumery, beverages, cosmetics and a blend of potpourris. 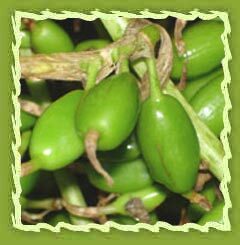 The cardamom fruit may be used whole or its seeds may be used as ground. The crushed seeds of the pods are frequently added to curries and another south Asian spice mix, garam masala. Cardamom is used often in baking in Scandinavia. Cardamom is best stored in pod form because once the seeds are exposed or ground, they quickly lose their flavour. However, high-quality ground cardamom is often more readily (and cheaply) available and is an acceptable substitute. For recipes requiring whole cardamom pods, a generally accepted equivalent is 10 pods. In vapor therapy cardamom oil can be useful for the digestive system, for coughs and fatigue. Cardamom is used in perfumery blend for manufacturing of men's perfume. It is especially used in the preparation of Curve Colognes, Eau De Toilette spray for men. Cardamom is most sought after spray due to its refined, spicy and edgy notes. This oil is a mild stimulant with a sensual quality and makes a light, refreshing bath oil. It has a sweet, spicy, camphor-like aroma with floral undertones that imparts a warm note to masculine scents and floral perfumes. The oil is clear, and relatively expensive. It blends well with most essenses, especially bergamot, frankincense, ylang ylang, cedarwood and coriander. All of the fragranced oils are measured and poured into candles, incence and aromatic diffusers for fragrance. Cardamom oil is used for memory enhancement: Many adults today wish to have better mental focus, alertness and concentration. Most people suffer from memory lapses, lack of concentration and inability to focus.Cardamom has long been used to help promote healthy memory and neurological function. Cardamom provides right balance of nutrients important for protecting and promoting healthy brain cell function. Another critical aspect of neuroprotection is to protect the arteries supplying oxygen and nutrients to the brain. More than becoming more and more forgetful as we get older, Alzheimers disease leads to changes is behavior, personality and other abilities. ADD (Attention Deficit Disorder) is a group of symptoms that can also cause mood swings, impulsiveness and intake of cardamom helps in the memory enhancement.